The next generation on hot air balloons: ear balloons! Get them before they fly too far! I felt I wanted to make light earrings, so I thought on an Air Balloon for your ears, giving birth to "Ear Balloon". I also added some handmade draw finishes. Made of Perspex, these earrings are so light that you can wear it all day and not even realize. As it is a handmade ad hand painted item, you can choose the color you want the hearts and the balloon to be painted. Just send me a custom order with what you have in mind! 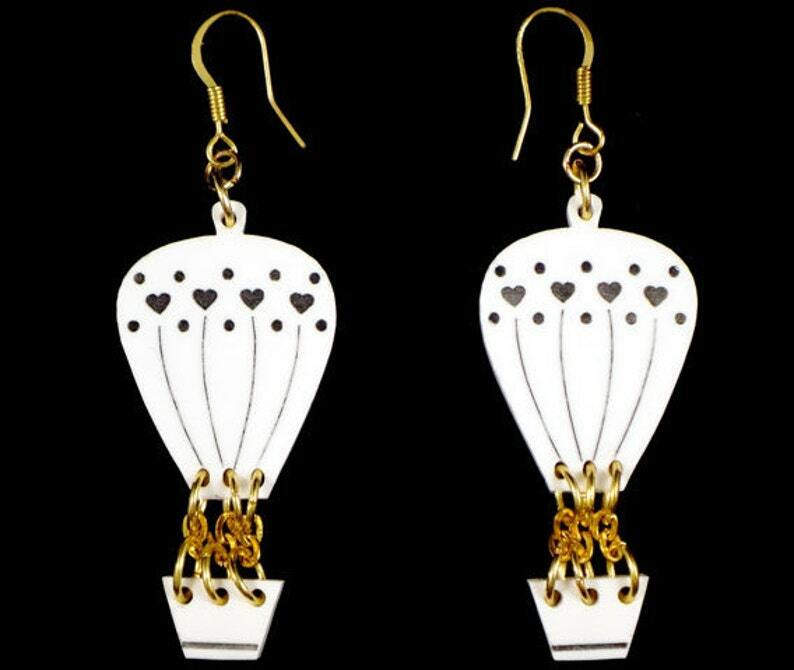 Check out https://www.etsy.com/listing/224496778/air-balloon-earring-black-ear-balloon for the black version.